And now Pro-how to play with the MOD: first-go to game settings and clear the shot with the display of projectile with the middle mouse button. TRANSITION IN ART MODE AND BACK-MIDDLE MOUSE BUTTON. 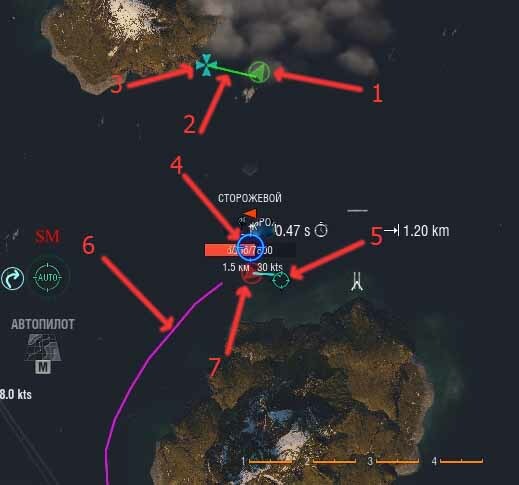 IF you do not TURN on or OFF ART mode-CLEAR capture with purpose (EVEN IF SHE LEFT ZASVETA) then start a fight and you have two game modes. 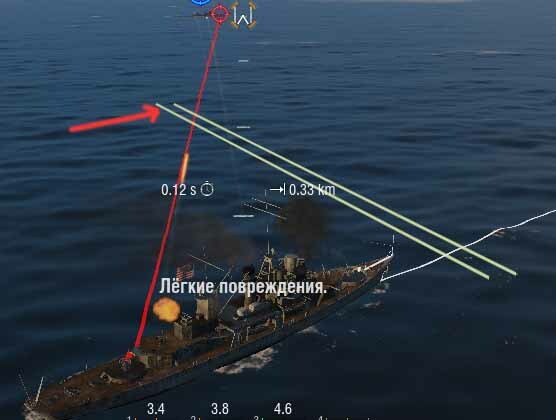 Or the old fashioned way in sniper mode (but in the game it is called like artillery) shoot at the Red sphere showing the point lead (TU), either in my ART shoot mode at the end of the blue line lead (in the picture designated red arrow). 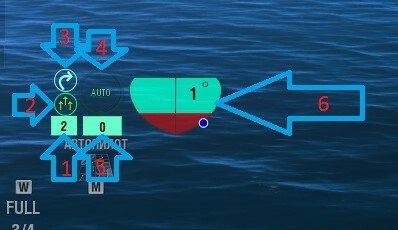 Mark on fashion: green line displays the direction the gun your ship at the point of sight (to art mode was roughly seen where now there is aiming). At the end of the green line is drawn by Blue Cross. This is to ensure that the height was more visible place of sight. -Purple appears old trajectory of the target vessel. It may be needed to evaluate the manoeuvre enemy. Blue displays the trajectory of pre-emption. 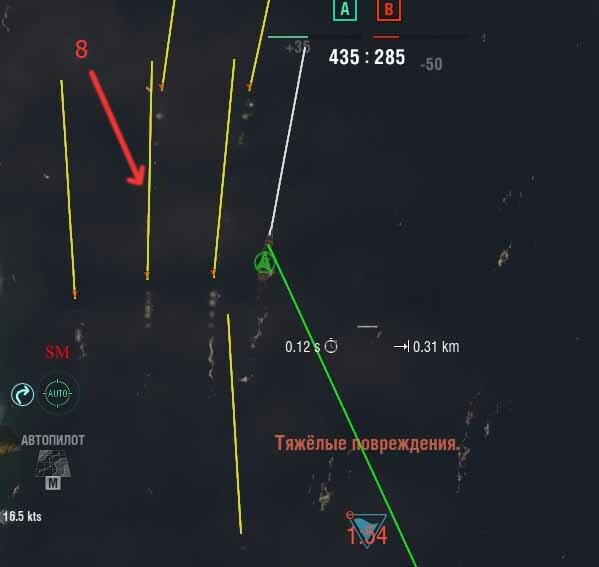 -Your ship is indicated by a green circle with an arrow in the middle. From a great height to better recognize the direction of its movement. 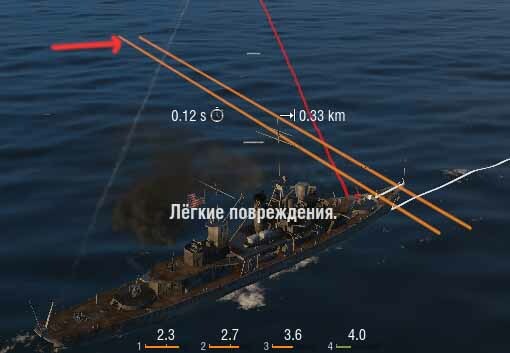 -The enemy Ship is indicated by a red circle with an arrow in the middle. From a great height to better recognize the direction of the enemy. 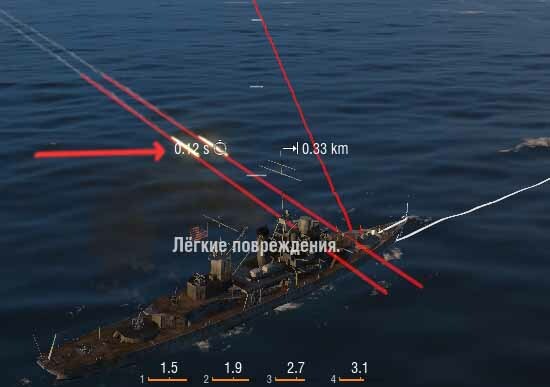 -Red lines coming from the ships enemies toward your ship represent something like a laser pointer. 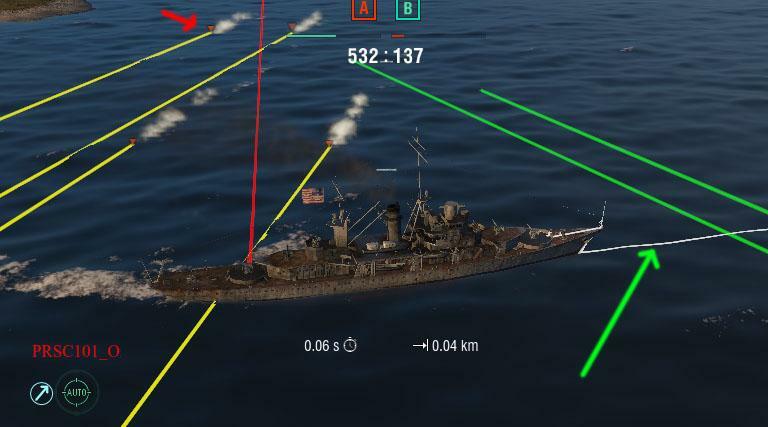 In order to make it clear that the enemy ship to hit you. Now about the avtopricel: If you want to shoot yourself, then you have to shoot the Red sphere pre-emption pronghorn mode either by blue line art mode. 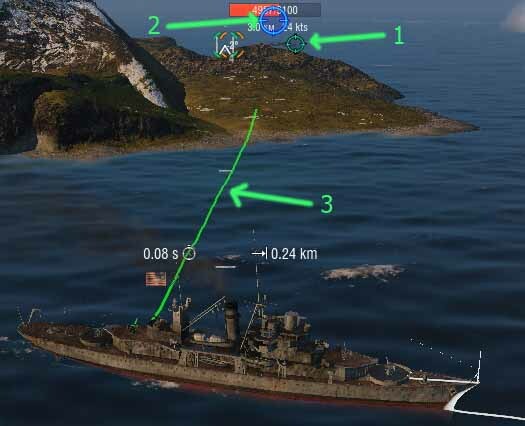 If you want to hold down fire to shoot not aiming your hands and take a particular enemy ship in grab do the following: move to the correct ship enemy sight in the game (the center of the screen) to the desired handle enemy ship appeared white circle, indicating that the game will now follow this ship. Once on the enemy ship token appears sighting mark, and my ART at the same time mode displays pink old enemy ship and blue path-path and lead in pronghorn mode, you will see a red sphere of pre-emption. 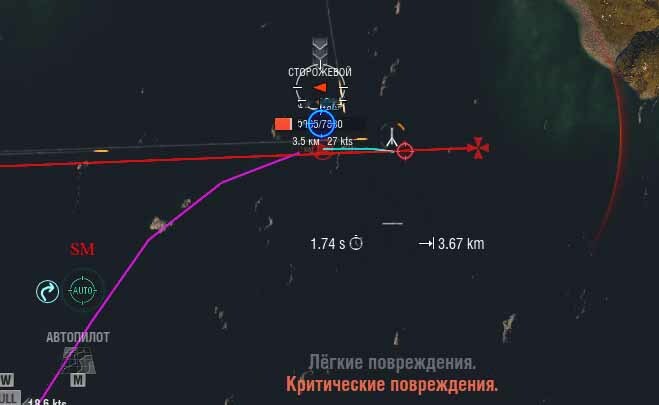 If after these steps, click the right mouse button (by the way the keys until you cannot change fashion)-will capture the target vessel. 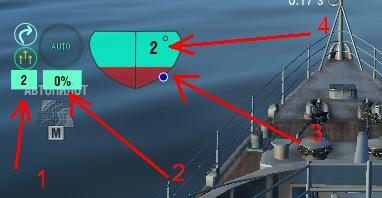 This animation will testify about the White arrows on the marker vessel captured enemy. 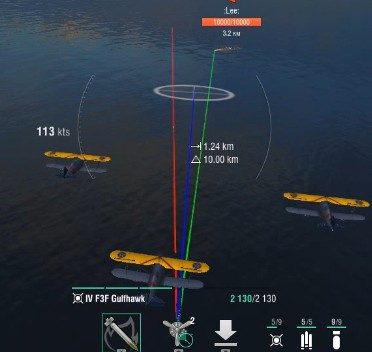 You can now hold down fire and watch where the flying projectiles. Removed the seizure is also a right-click. What way is written in the chat. Just don't be alarmed-nobody but you do not see. And most of what you want to say about the sight. This is what the "U" key-changing lead calculation type. Linear pre-emption-good for the purposes of moving in a straight line. But if the goal when such collapse begins pre-emption shells may lie behind the stern of the ship. So I did a combo of pre-emption, which takes account of this point. But at the moment I noticed it glitches when driving goal reverse at very slow motion with rotation. 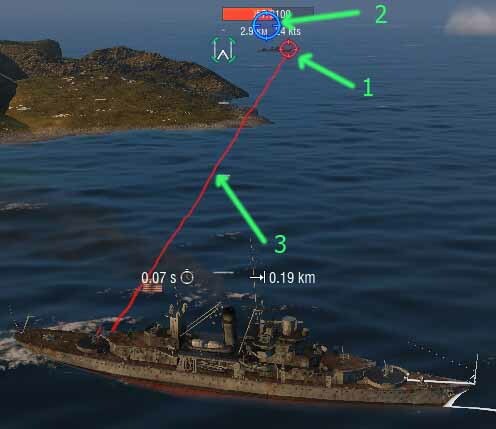 Define this glitch is simple: If the blue line (curve) will be drawn too far away from the enemy ship (in a couple of shells from it sideways, rather than in the nose of the ship). In such a case, remove the grip and aim with your hands. Unpack in a convenient place. This program caused my virus program to go nuts and tells me it's a Trojan virus. Can you say why? Hello, where are we able to download the WoW's Warpack from? Down load this and I cant even open it. Tell me, What am I supposed to do with this? it wont even open and i don't have an anti virus program running. is it a loader? what is it? Still cant get it to work, do you use the old loader that came with the game, or it there a loader that is supposed to inject the cheat? Here is the right option for you. Copy and paste it into the file settings.xml. thank you, that worked out great. Question though, are there settings? and does warpack only shot or work with the middle mouse button?